Sephora Favorites Makeup Advent Calendar 2018 is 50% off! 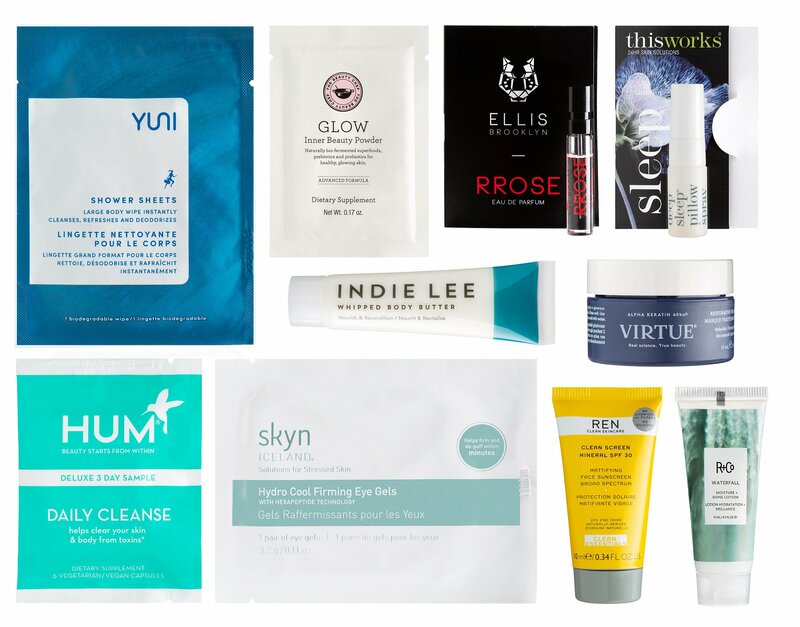 Plus, new Liberty Beauty Crackers, Style Korean Beauty Box Stay Rich, hot Cyber Monday-like deals at Biossance, Jouer, Shu Uemura Art of Hair, Prescriptive and more! Sephora and Sephora.ca (NEW) Sephora Favorites Beauty Vault: 12 Days Of Make Up was $90 now $45 ($196.00 value) or $C108. This post may contain affiliate links. Read the full disclosure. QVC Beauty Advent Calendar 2018 USA is on sale for $50 – $280+ value and Sephora 20% Off Coupon for November 2018 again! Plus, there are new Lancome purchase with purchase at Nordstrom, Macy’s Black Friday price beauty available now and more! QVC (NEW)(VERY HOT) QVC Beauty Christmas Advent Calendar 24-Piece Collection or QVC Beauty Advent Calendar 2018 now $49.98 was $64.75 (a $282.26 value). Shipping is free. Includes: This post may contain affiliate links. Read the full disclosure. Happy Halloween! Here’s the six new beauty advent calendars 2018 plus, top beauty offers from Birchbox, Fresh, Julep, Myer beauty box and more! Jo Malone (NEW) Jo Malone advent calendar 2018 USA $450. First time ever, grab your Macy’s beauty advent calendar USA, Anthropologie beauty advent calendar or Dr Barbara Sturm advent calendar – worth $1,154. Plus, see 3 more beauty advent calendars USA and coupon codes for free gifts or discount! *This post contains spoilers. Dr Barbara Sturm Advent Calendar Bluemercury (NEW) Dr. Barbara Sturm Advent Calendar 2018 USA $600 or at Olivela. This post may contain affiliate links. Read the full disclosure. REN is offering up $10 off any Face Mask with code HALLOWEEKEND starting from $22. Offer valid through October 31st at 11:59 PM PST. Skin-transforming face masks and fixes. Formulated for every skin type! This post may contain affiliate links. Read the full disclosure. Glossybox Advent Calendar US & Diptique Advent Calendar US 2018 are available now. More Beauty Advent Calendar 2018 discount coupons or free gifts like lookfantastic advent calendar, skinstore advent calendar 2018. *This post contains spoilers. GLOSSYBOXUS (NEW)(HOT) The GLOSSYBOX Advent Calendar 2018 US is available pre-order here $99 — a value of $325! Use coupon code PREADVENT or ADVENTSALE get it for $79 (for subscribers)! 25 Doors filled with beauty goodies! This post may contain affiliate links. Read the full disclosure. I have a best five beauty advent calendars 2018 USA and gift with purchase to share. There are new La Mer Advent Calendar USA, two Clarins advent calendars USA, Beauty Benefit Event at Bloomingdale’s, and more. Saks Fifth Avenue (NEW) La Mer 12 Day of Radiance Advent Calendar or La mer Advent Calendar $400 or direct from La Mer. This post may contain affiliate links. Read the full disclosure. If you don’t care for Lookfantastic Advent Calendar 2018 that has Mane and Tail in it, Beauty Expert Advent Calendar that contains all 12 full size beauty items or Skinstore advent calendar that comes with free gift bag will sure delight you! I’ll provide full spoilers below. Beauty Expert US & CA (NEW) Beauty Expert Advent Calendar 2018 $132 – a £450 value. 12 Doors all full sizes // BUY NOW ships free worldwide. Neiman Marcus dropped over 70 new luxe gift with purchase! Plus, Debenhams Beauty Advent Calendar 2018, “Riley Rose Favorites” Beauty Box (YES!) and new prestige GWP offers for you today. *This post contains spoilers. Neiman Marcus and Bergdorf Goodman (NEW) offers over 70 new GWP from Lancome, Estee Lauder, Clinique and more. Dear readers, tomorrow I have something to share, don’t forget to come back and be prepared for the BIG thing 🙂 This post may contain affiliate links. Read the full disclosure.